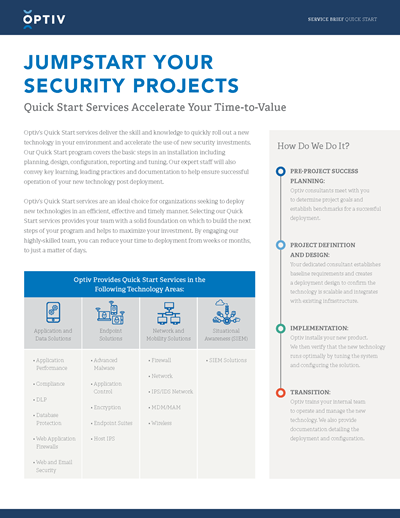 Optiv’s Quick Start services deliver the skill and knowledge to quickly roll out a new technology in your environment and accelerate the use of new security investments. Our Quick Start program covers the basic steps in an installation including planning, design, configuration, reporting and tuning. Our expert staff will also convey key learning, leading practices and documentation to help ensure successful operation of your new technology post deployment.